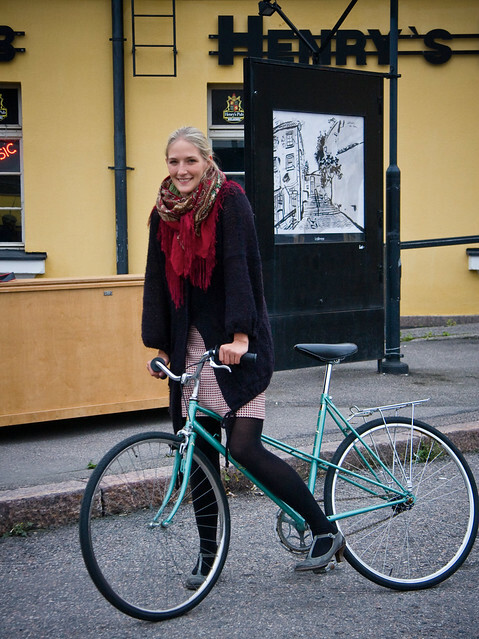 Cycle Chic®: Viva Helsinki Again! Love how her colors work so beautifully against the backdrop. Very artsy. The drawing on the door helps add to the effect. It's as though she's on her way to a poetry reading. Why, really? Not that it's worth forgetting, but why the grand words? Does it have anything to do with the fact that you were romantically involved with this lovely girl?